it's totally birthday party season for the bean right now. in the last month alone, we've been to like four gatherings with more on the horizon. 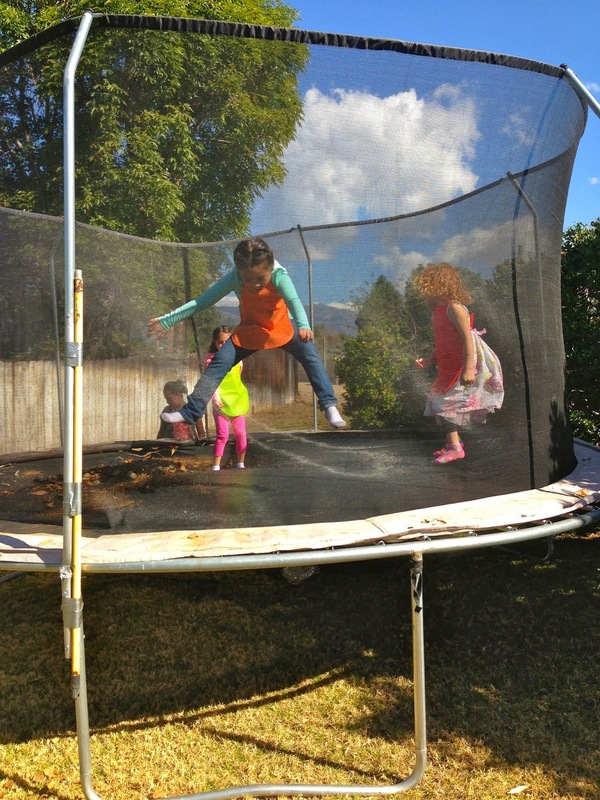 i suppose it makes sense though - as the hub pointed out, she had like 30 kids at her party in october. i'm sure there are more invitations coming our way in the near future. 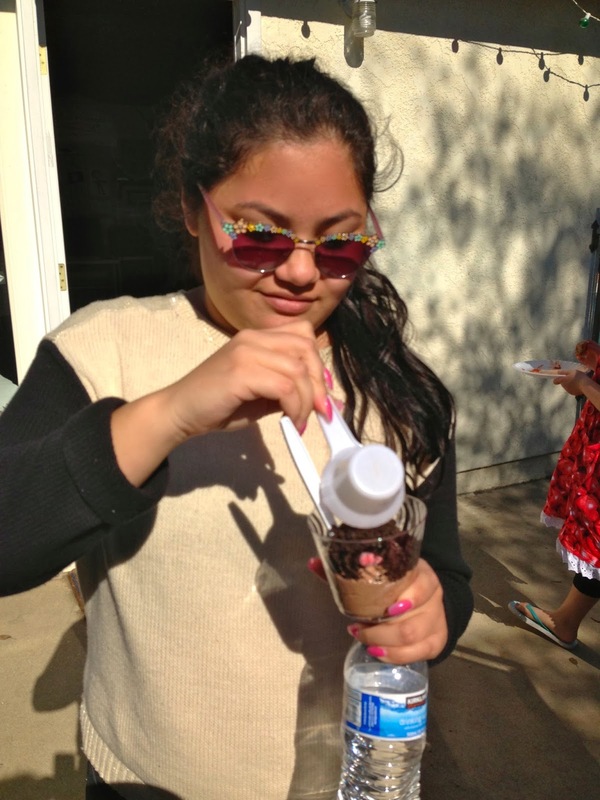 the party we attended on saturday was for one of her old soccer teammates. unlike the soccer program we enrolled her in for the winter season*, she actually liked the girls she played with and had a good time. and so when we received a super cute invitation wrapped around a mini rolling pin and realized who the party was for, she was really excited to see her friends again. *the girls in her current program are SERIOUS. SOCCER. PLAYERS. they also came with SUPER. SERIOUS. PARENTS. after a few practices and a couple of games, we finally took pity on our poor girl and let her off the hook. i'd thought it would be fun like the fall season we'd just done, but it was all too intense for my non-aggressive, skip-not-run kid. so much so that she wailed and cried and made braying noises the likes of which i've never heard out of her before (and hope never to be subjected to again). the day started off with a bang. as i was finishing up a shower after an early barre class, she burst through the door with a triumphant "MOMMY! my tooth came out!" 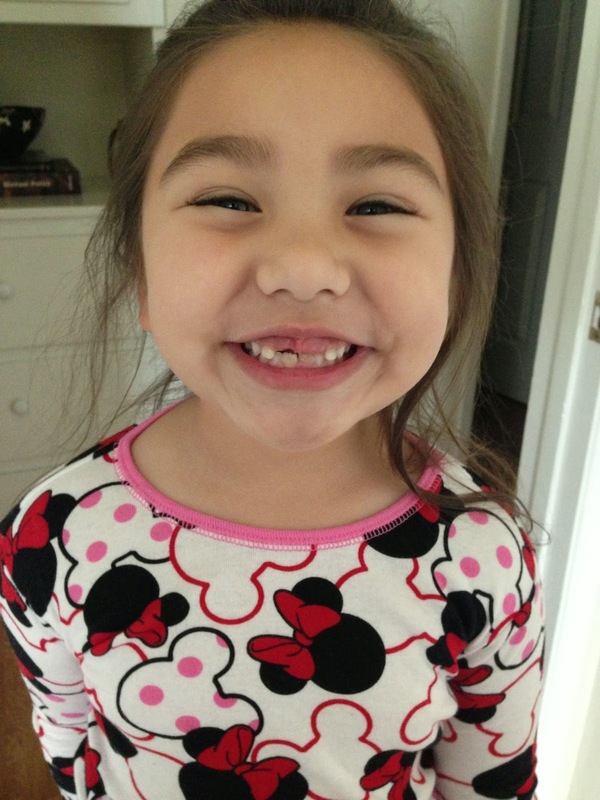 my little toothless wonder. so funny. after all that excitement, we ended up running about ten minutes late to the party. no worries, though. 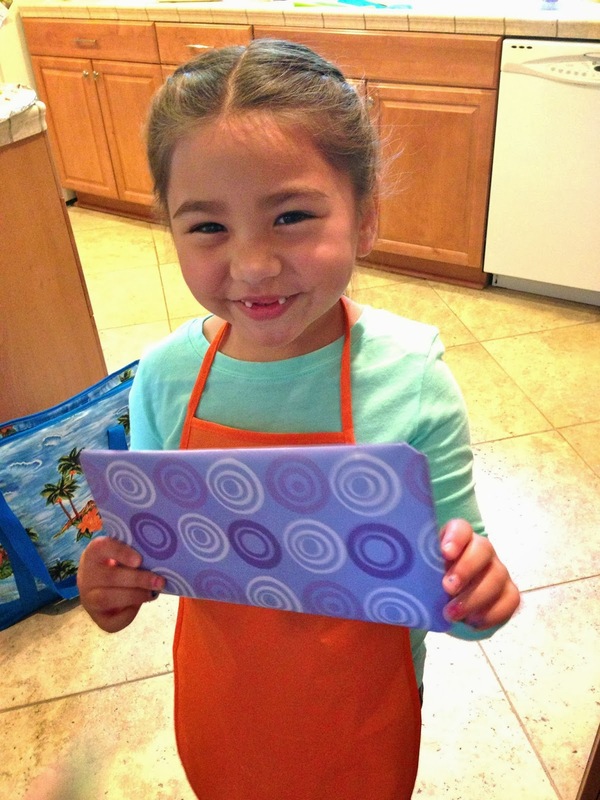 she still got to decorate her chef's hat and put on a colorful apron before heading into the kitchen to make her pizza. 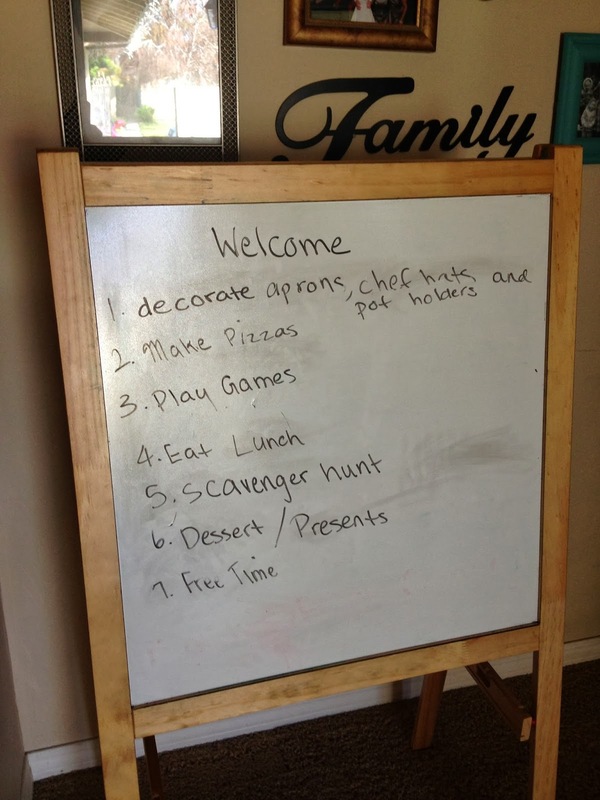 the girls were clearly in for a fun-filled afternoon, judging from the itinerary laid out on the whiteboard. 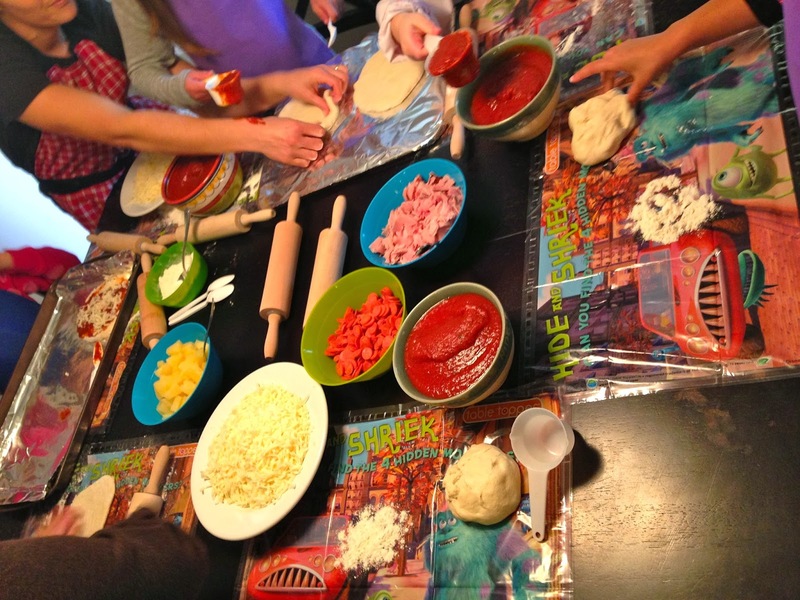 the table was all decked out with all sorts of kid-friendly pizza toppings for the group to put their edible masterpieces together. 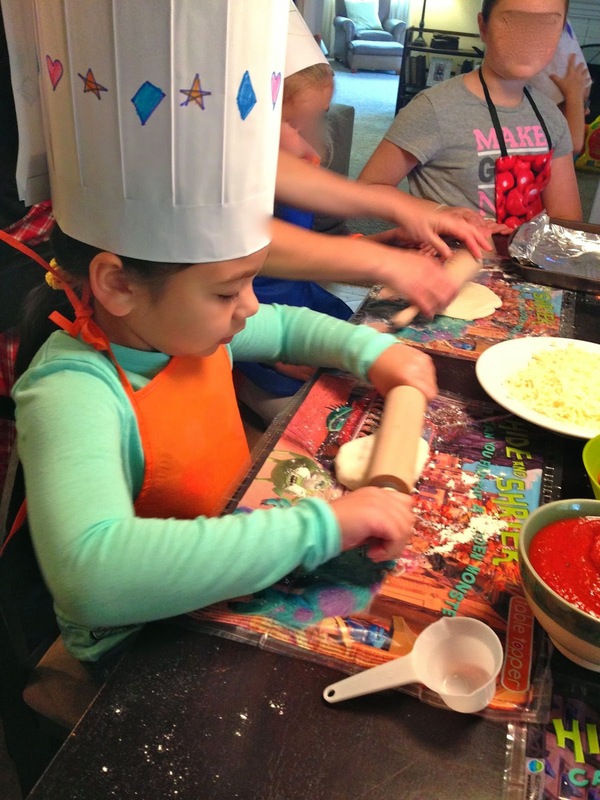 she had fun putting that rolling pin to use on a lump of soft, squishy pizza dough. 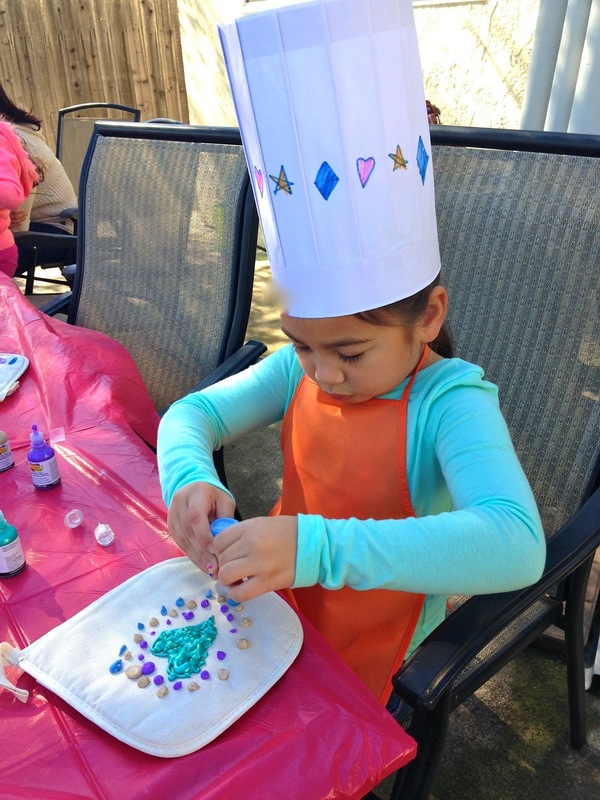 with her carefully assembled pizza safely on the next pan in line to be placed in the oven, she made her way into the back yard, where a table was set up with potholders to be decorated with puffy paint in all sorts of pastel-y, pearly, glittery colors. she now wants one of these too. i can't lie, i think it would be really fun. 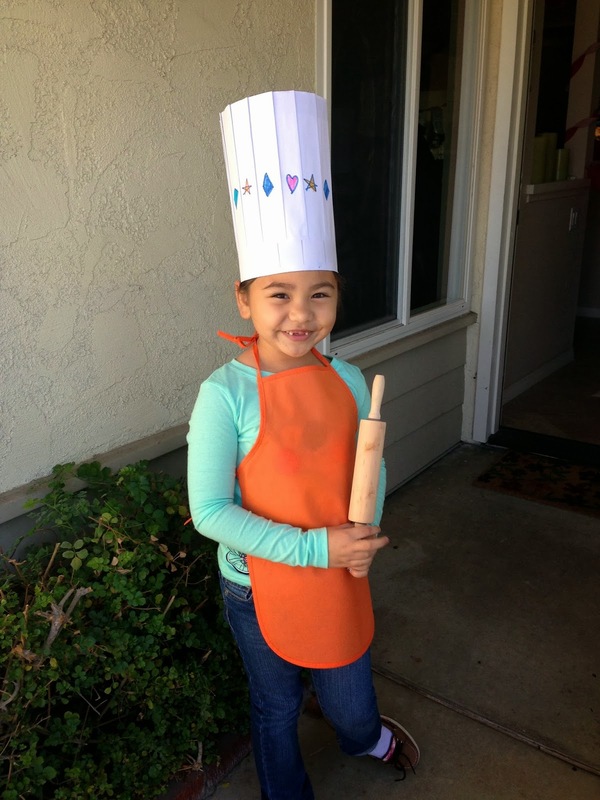 after participating in a few fun old school-type games like "pin the chef's hat on the birthday girl" and "over/under," she managed to score a prize. by then, the pizzas were all ready. i'm going to guess that the birthday girl isn't a big cake fan. 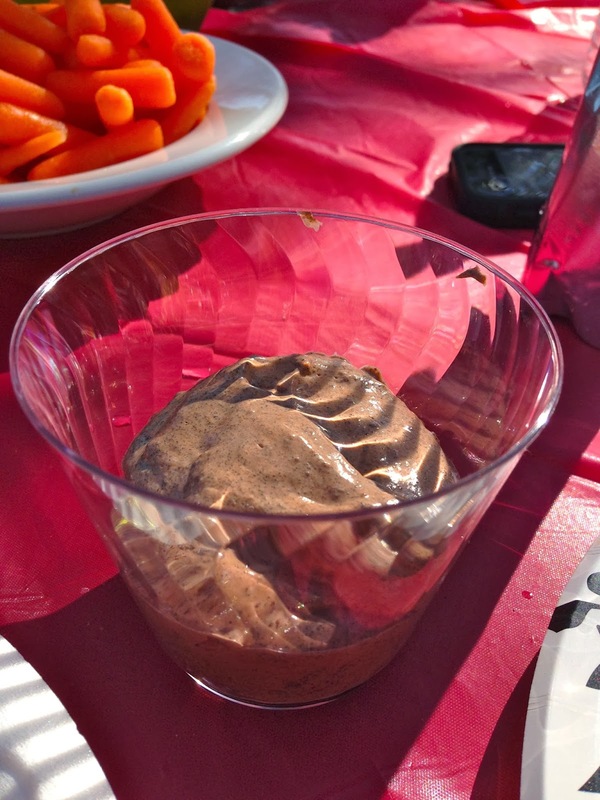 because instead, each guest was handed a cup of fluffy, delicious chocolate pudding and instructed to dress them up with "worms" and "dirt." i love watching this one get just as excited as the little kids. okay, i can't lie. 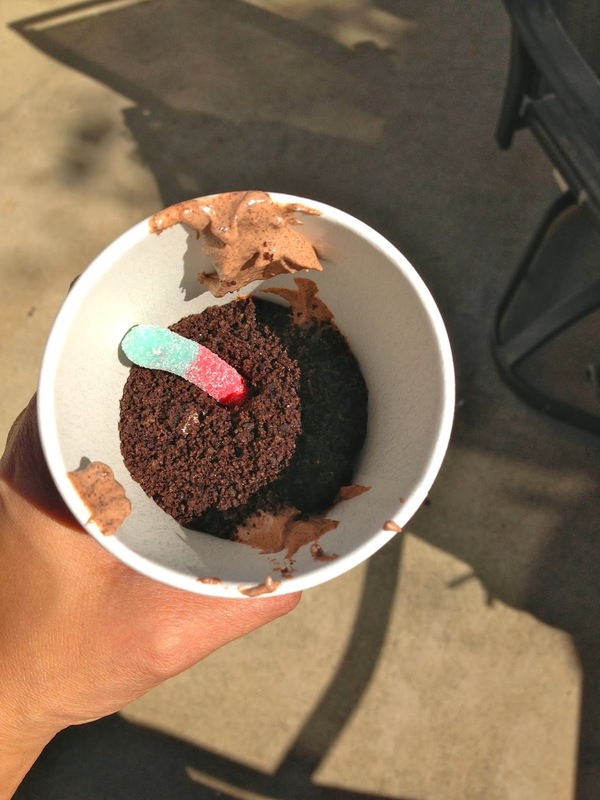 i may have indulged in a dirt cup myself. 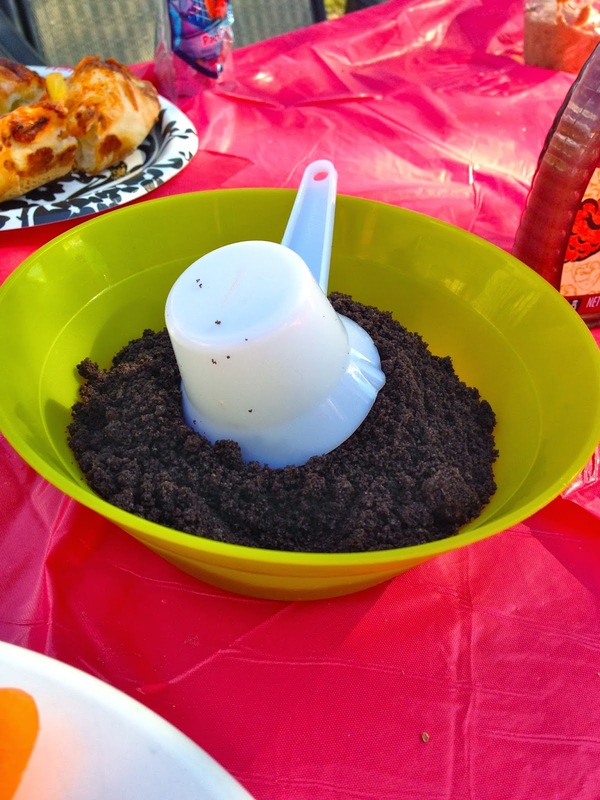 in this age of balls-to-the-wall pinterested-out birthday parties (my own gatherings included), i thought it was pretty awesome to come to a shindig that wasn't crazy with tiny details and instead just busted out with some good old fashioned fun. 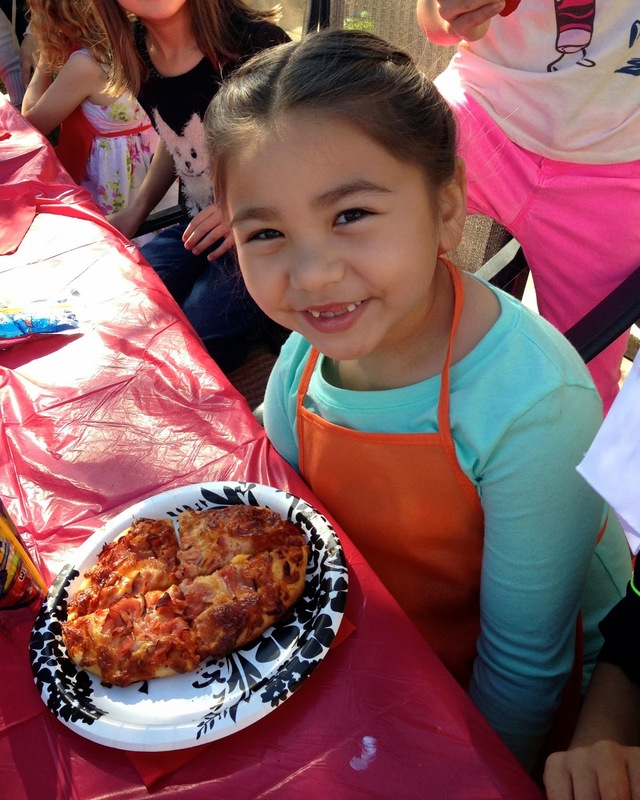 the kids had a blast just being together and playing games, eating food they made themselves, and doing simple little crafts that let them bring out their artsy-fartsy side. i may have to follow suit this year - if we do a party at all. i wonder if i can get away with suggesting a fun outing with a couple of close friends to celebrate her birthday this year instead. wouldn't that be awesome? i guess we'll see. 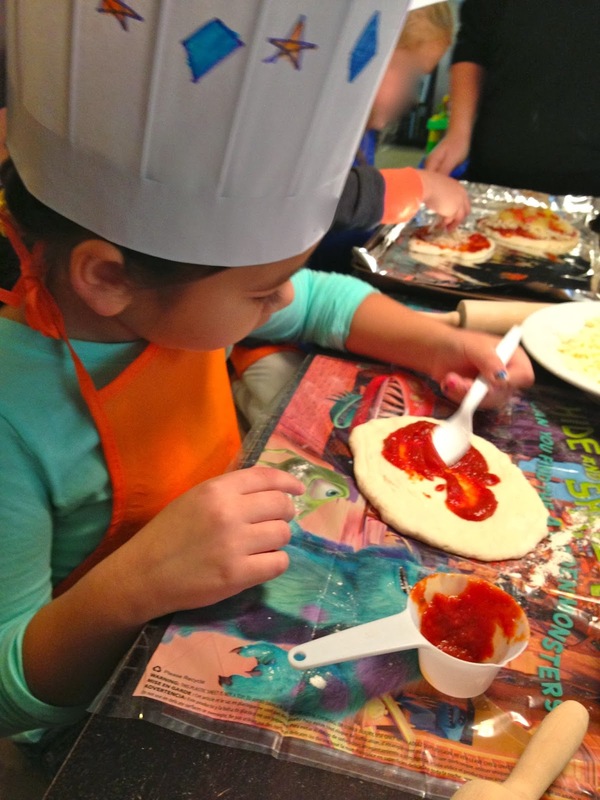 I like the idea of putting the kids to work making their own pizzas! That's wonderful!